Just let it in! We're down to the last few weeks. 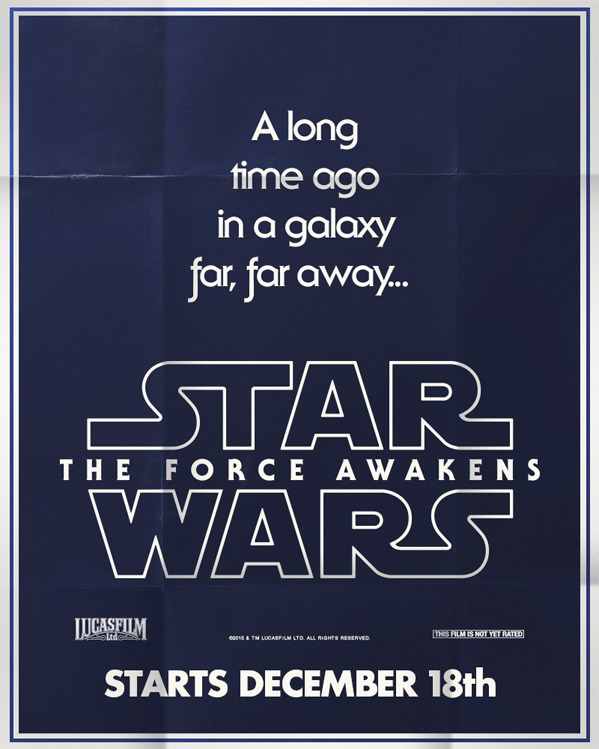 Over the weekend, Lucasfilm debuted three new posters for Star Wars: The Force Awakens that contain nothing but text. 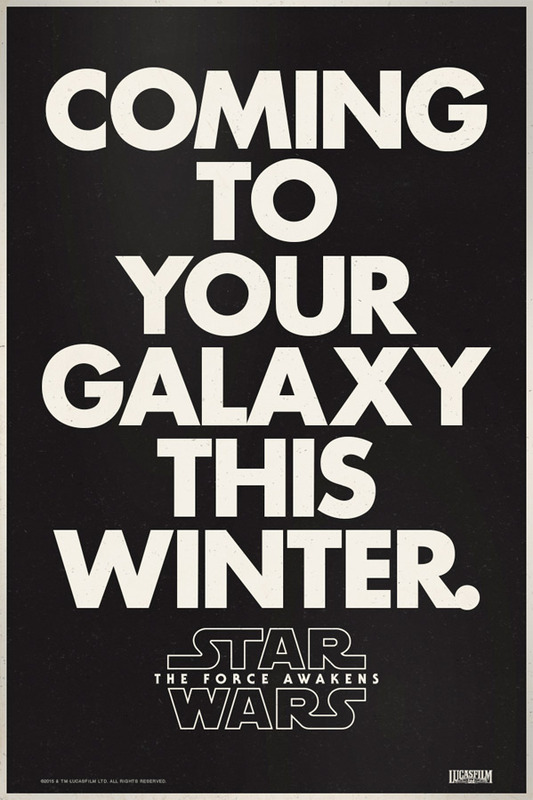 They are actually a specific throwback to the very same poster design utilized during the release of Star Wars: A New Hope on May 25th, 1977. 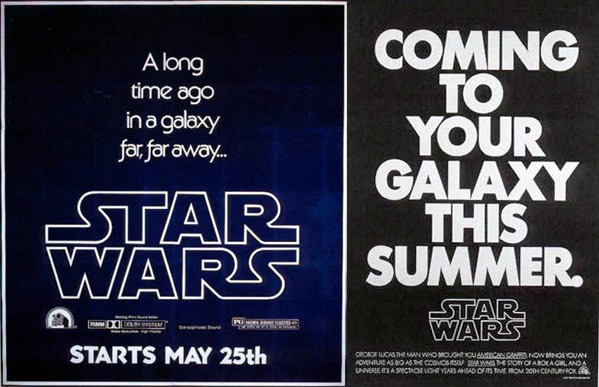 For reference, we've included photos of the original posters at the bottom. 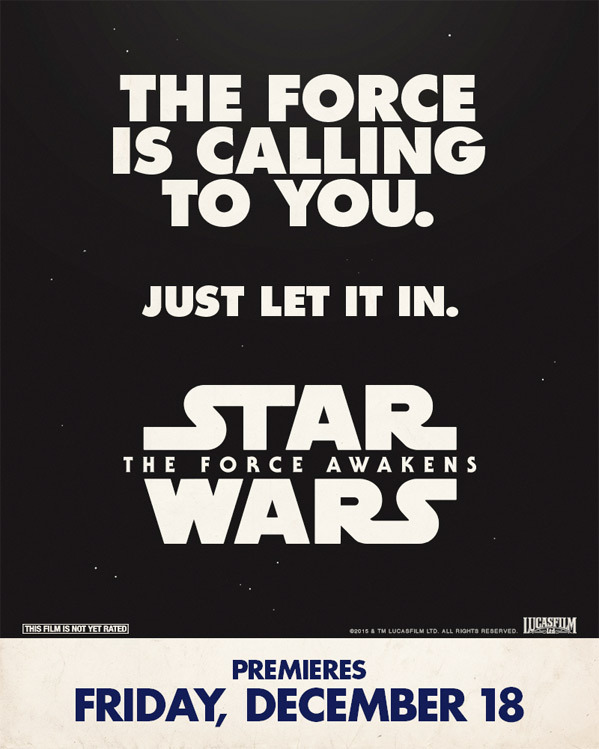 We've seen so much imagery, so many attempts at Drew Struzan art, that it's sometimes refreshing to see marketing that is based purely on our imagination. That's what Star Wars is all about, capitalizing on our boundless imaginations and the joys that come with believing in The Force. It's exciting to be around here for yet another big Star Wars release. 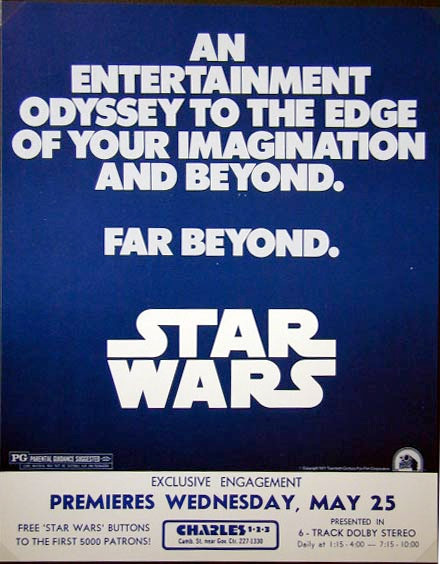 Read more about the creation of the original Star Wars logo here. Thanks to Movies.com and io9 for tips. Saw these a few days back. They're cool!! !